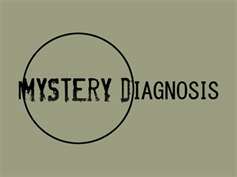 Mystery Diagnosis: Reason for no blogs lately!! Reason for no blogs lately!! I am sorry that I haven't been able to put up a blog lately since the Boston Explosions. I have been preoccupied with work since I work in a law firm. I am however working on my next blog, so don't get disappointed. You will like my next one. Keep visiting my website for new blogs. Have a nice day everyone.